Indonesia held legislative and presidential elections in 2014. July’s presidential election was won by Joko Widodo (popularly known as ‘Jokowi’), the governor of Jakarta. In the political offices he has held so far, as mayor of Surakarta and governor of Jakarta, he has proved to be a successful reformer and fighter against corruption. Corruption, vested interests and resource nationalism are persistent obstacles to badly needed structural economic reforms and Jokowi’s presidency is seen as the best chance to address these issues. However, he needs the support of smaller parties in the House of Representatives and the legislative elections have left a very fragmented political scene. Jokowi´s Indonesian Democratic Party-Struggle (PDI-P) holds only 19% of the seats in the House and a coalition of at least four parties is needed to gain an absolute majority. This is likely to hinder structural reforms. Meanwhile, the defeated presidential candidate Prabowo Subianto has shown no willingness to engage in constructive parliamentary opposition but instead seems to be doing his utmost to undermine Jokowi’s policy making. 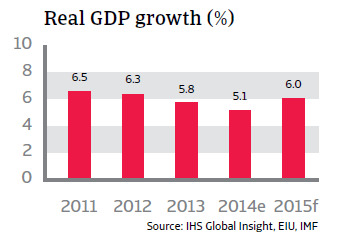 Economic growth was disappointing in 2014, at only 5.1% GDP, partly as a result of an export ban on unprocessed minerals and also because of political uncertainty ahead of the general and presidential elections. 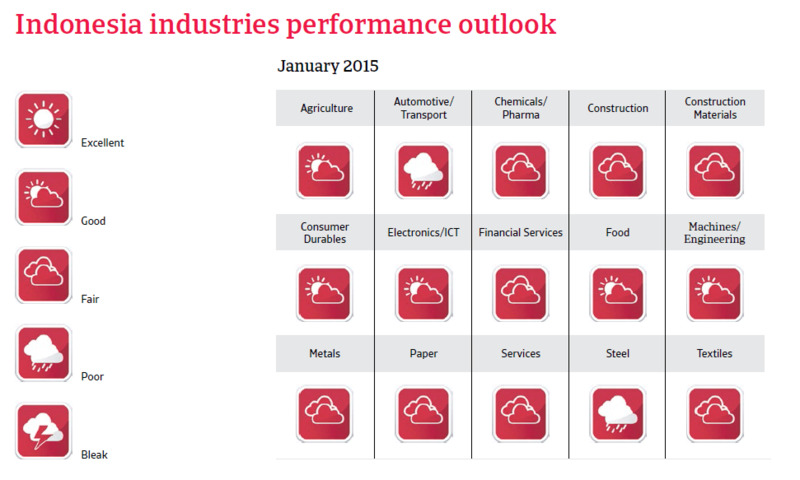 Nevertheless, growth is expected to accelerate in 2015: by a forecast of around 6%. Higher incomes – the result of years of good economic performance - have contributed to the rise of the middle class in Indonesia (estimated to number more than 30 million in a country of 242 million) and this will also bolster domestic consumer spending in the short and medium term. Despite the generally satisfactory growth rates, there are still deep structural problems, with red tape, widespread corruption, a poor legal system, an inflexible labour market and poor infrastructure all continuing to limit growth. There are still too many barriers to foreign direct investment (FDI), which is severely hampered by the poor infrastructure and energy supply, and so it is no surprise that investment in oil extraction capacity and infrastructure remains disappointing. The annual budget deficit has increased since 2010, due in large part to costly fuel subsidies that account for more than 15% of the national budget. These subsidies also eat into public spending for necessary infrastructure investment and social spending, endangering long-term fiscal sustainability. Each year, more public money is spent on fuel subsidies than on social programmes and capital expenditures combined. In November 2014 President Jokowi finally decided to cut subsidies for gasoline and diesel, raising fuel prices by about 30% to relieve the public budget. Fuel prices are a very sensitive issue in Indonesia, where about 100 million people live on US $2 a day or less, and in the past even modest increases have resulted in social unrest. To contain inflation after the fuel price increase, the Central Bank increased the benchmark interest rate by 25 basis points, to 7.75%. Finally, on January 1st 2015 gasoline subsidies were scrapped entirely and subsidies for diesel were capped, taking advantage of decreasing oil prices. This move is expected to relieve the national budget and to allow the government to increase spending on infrastructure improvement, healthcare and education. 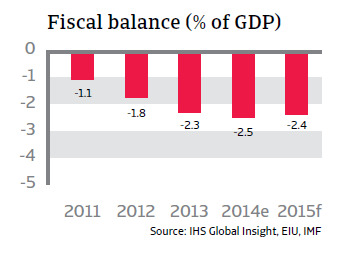 The country´s economic fundamentals are still strong. The foreign debt level remains manageable and liquidity is adequate. 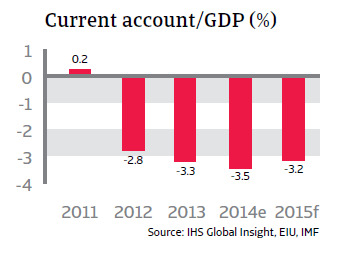 But Indonesia’s external position is now more vulnerable than in the past because of its current account deficit and higher private sector external debt. In 2014, Indonesia did not experience a recurrence of the massive international capital outflow of 2013, when the currency came under pressure as the US Federal Reserve tapered its bond-buying programme and foreign investors sold off financial assets and shares. 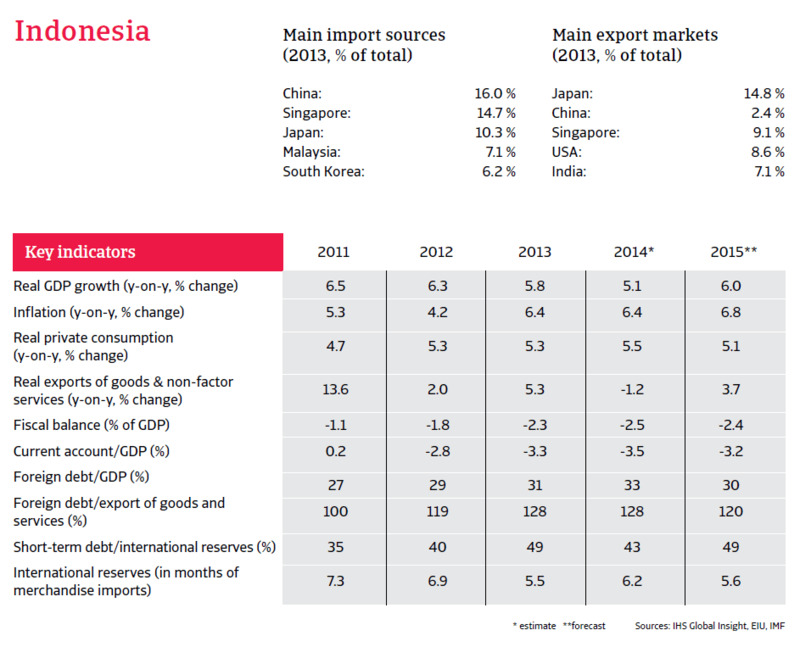 However, the rupiah may come under renewed pressure in the future. The cut in fuel subsidies is a start, but more structural reforms and a reduction in the external financing requirement are necessary. Without reforms to resolve the structural economic problems, the economic growth rate will remain below its potential. Indonesian respondents said that 37.1% of overdue receivables were paid within 30 days, slightly above average for the region.